When the average gym member says they’re going to do “cardio”, they are referring to training on an assortment including treadmills, ellipticals, step mills, and rowing machines. Sadly many people have the mistaken belief that the use of cardio equipment is the best way to burn body fat and that lifting weights only builds strength and muscle. So what is the true definition of cardio? Cardiovascular exercise is any activity that increases heart rate. Cardiorespiratory training is any physical activity that involves and places stress on the cardiorespiratory system. I could list further sources and the answers would be similar. Notice there is no reference to treadmills and similar equipment. Running bleachers in a football stadium is most definitely cardio…not at all fun, but still cardio. So if true cardio does not equate to using the cardio machines, why are so many people still convinced that walking on a treadmill is the best way to burn fat? It really comes down to a lack of knowledge. We used to think the world was flat. Today we know better. We used to think manned flight was impossible and yet today air travel has made our world a small place indeed. Walk into most any gym in the country and watch the members for a week. You will quickly determine which members are sold on the idea of the cardio machines being the golden ticket to fat loss. While the cardio machines have their place and offer certain benefits, there is a negative side to what most people put themselves through. Does nothing to build or maintain muscle mass. Inefficient method for burning body fat because of the body’s adaptive nature. As the body adapts, it will burn fewer and fewer calories for the effort given. Runners are among the most highly injured of all athletes because of the high repetitious nature of the movement. 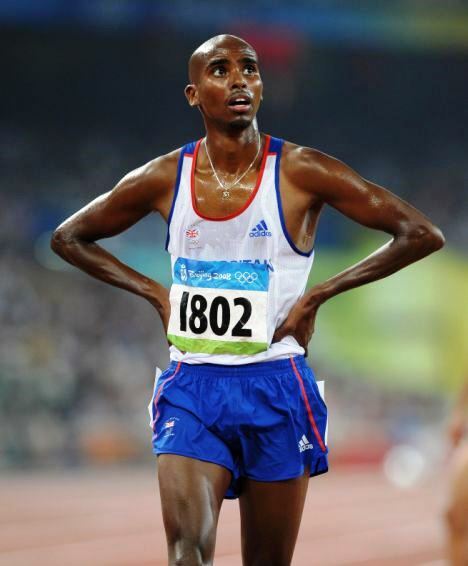 Distance runner Mo Farah below shows the extreme of what long distance cardio work will produce in terms of athletic development. He’s relatively lean but he carries little muscle mass as this would be counter productive considering the nature of his sport. 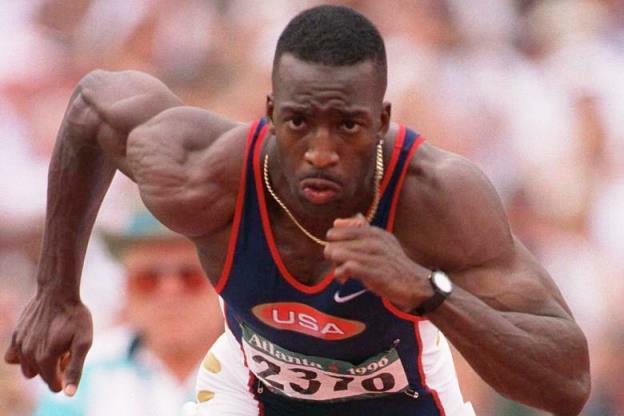 Sprinter Michael Johnson below shows the other extreme of how training for strength, speed, and power produces a completely different look…and he’s extremely lean. Please don’t be fooled as Michael didn’t get this way by just running sprints. He paid his dues in the weight room as well, and I don’t know about you, but I would rather look like Michael. 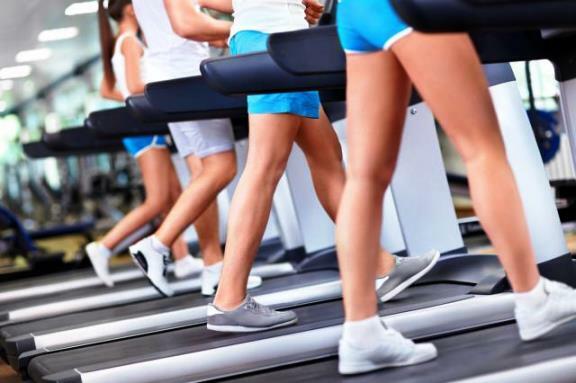 Treadmills, Ellipticals, and Step Mills are all mostly lower body based with little upper body or core benefit. 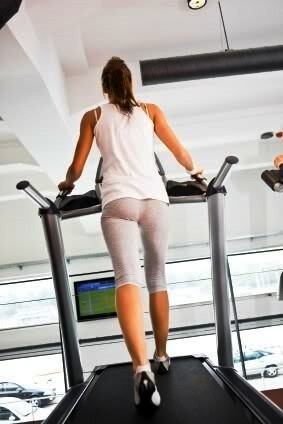 The treadmill in particular largely targets the front of the legs with the machine doing part of the work of the posterior muscles. In excess this work imbalance can lead to knee issues and low back pain. Poor posture can further degrade these exercises. Note: Cardio equipment does have it’s place however many people rely too heavily on machines spending way too much time. Shorter duration workouts with higher intensities ideally spread over a variety of equipment is the best way to benefit the body while protecting against overuse injuries. 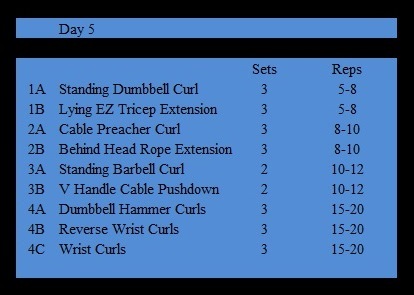 Circuit training consist of a series of exercises that an individual performs back to back with minimal rest. No overuse injuries verses the high repetitions of traditional cardio. No risk of aerobic adaption so the body continues to burn calories over time. Afterburn (EPOC) much greater than aerobic based training. Better for fast loss and improved hormonal profiles. Improved functional strength to prevent injuries. 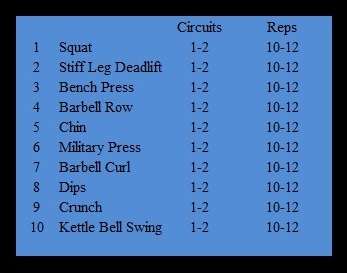 Ideally you would do one exercise and then with minimal rest, move on to the next completing the entire circuit of ten. One to two complete circuits would burn a ton of calories and be highly effective for stripping body fat without the negative downsides of long duration steady state cardio. Excess Post-Exercise Oxygen Consumption (EPOC, informally called Afterburn) is a measurably increased rate of oxygen intake following strenuous activity intended to erase the body’s “oxygen deficit.“ In laymen’s terms, EPOC is how “jacked up” your system gets from training and the extra calories burned post workout. According to Wikipedia, in recovery, oxygen (EPOC) is used in the processes that restore the body to a resting state and adapt it to the exercise just performed. These include: hormone balancing, replenishment of fuel stores, cellular repair, innervation and anabolism. 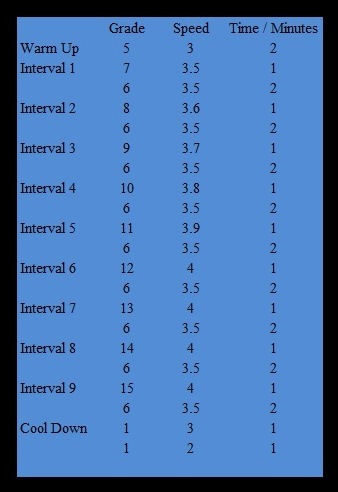 The EPOC effect is greatest soon after the exercise is completed and decays to a lower level over time. One experiment found EPOC increasing metabolic rate to an excess level that decays to 13% three hours after exercise, and 4% after 16 hours. Another study, specifically designed to test whether the effect existed for more than 16 hours, conducted tests for 48 hours after the conclusion of the exercise and found measurable effects existed up to the 38 hour post-exercise measurement. The significance of these statements above should not be missed. The amount of EPOC produced (equals extra calories burned) is far greater from shorter duration high intensity training verses long term low intensity aerobic work. 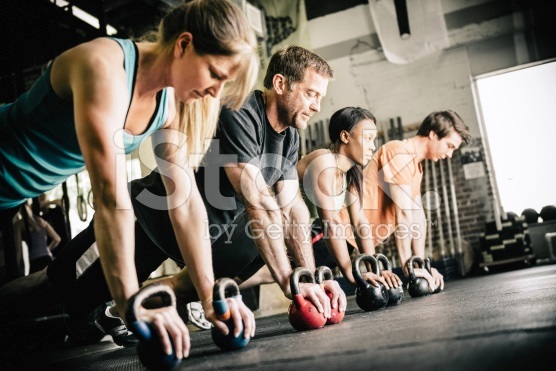 If you want more bang for your buck for the time invested, weight training in its various forms or high intensity interval conditioning work is a much better way to go. weight lifting program? Pairing apposing muscle groups is a common strategy offering a variety of benefits. One obvious advantage over straight sets is the enhanced cardio effect and increased workout density. 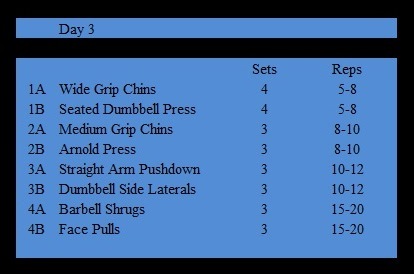 The following example will provide a strong “cardio” effect if the rest between each A & B combo is held to a minimum and then rest between each pair is held to 1-2 minutes. 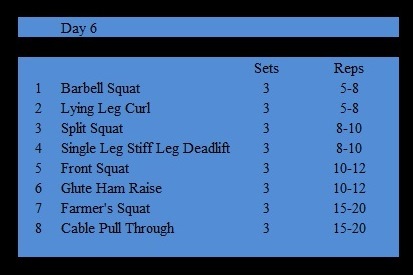 This program is flexible leaving days 2 and 4 for a combination of calves & core & conditioning / recovery work with day 7 being completely off from the gym. 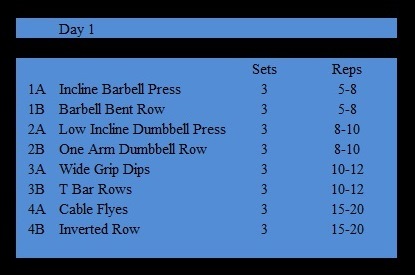 The foundation is the big four workouts and they are quite challenging if you push yourself. I hope you understand that I’m all for “cardio” training…done efficiently and right. Unfortunately your average gym member goes about it all wrong. Steady state cardio for extended periods is not the best way to achieve cardiovascular health or to burn body fat and comes with a host of drawbacks. Circuit training with a combination of free weights, machines, cables, and body weight exercises offers a great alternative to steady state cardio with greatly reduced risk of developing repetitive stress injuries. Moderate to high intensity interval work done on machines or with your own body weight including sprints on land or even in a pool offers another great alternative to steady state cardio. In a more traditional weight training program where apposing muscle groups are trained back to back with minimal rest, a strong cardio effect can be gained as a nice side benefit. Best of luck in your fitness journey. This entry was posted in cardio training, Circuit Training, EPOC, Health & Fitness, Nutrition, Uncategorized, weight training and tagged #diet #health #fitness #wellness, cardio training, Circuit Training, EPOC, weight training. Bookmark the permalink.